...can be found in the Capital City of which country? Work that one out and you'll know where Fred and I just spent a blissful two and a half weeks on vacation. Much more about our food experiences in this wonderful country to come. Welcome back, Sam! I don't know the answer, but I did want to say hey anyway. Oh, thank god. I'd been mainlining Epicurious in your absence, and just couldn't get that high I needed. I don't have a clue what country you were in. I just wanted to say WELCOME BACK and YOU'VE BEEN SORELY MISSED! Glad your back Sam! Hope you are nicely refreshed! Welcome back, Sam! We've missed you. Let me guess. Do I see lots of blue lagoons, perhaps? And water in square-ish plastic bottles? Hey there Sam! Nice to see you home safe and sound. I dunno... the Phillipines? I bed you enjoyed yourselves. Michele sent me. Were you in Fiji? Suva? I am glad you're back. I'll add my welcome back to the chorus. (And I won't guess, since I know where you were...) Hope you two had a blissful time and are brown as little bears. Thank goodness. I've been gearing up to make a vegan meal, just in your honor. But every time I check back, I'd just see that last vegan-challenge post. I was starting to want to eat chunks of meat as a protest. I'm not going to guess. I'll just let you tell me. we should see you 'fore you disappear into the work again. Very jealous...hope all that exotic tropicalness was enough to recharge you and Fred. Welcome back! Unless it was Micronesia/Melanisia and you were in Guam? Thank you so much everyone for all the heartfelt welcome-backs and congratulations to all those who guessed correctly. 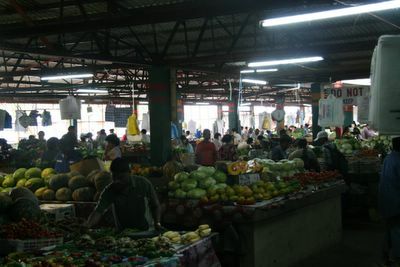 The answer was Fiji and the market (more pictures to come) was indeed in Suva. Sorry I haven't had time to answer you all more personally - my internet access has been down for more than half of the weekend and it was a struggle just to get today's post out. 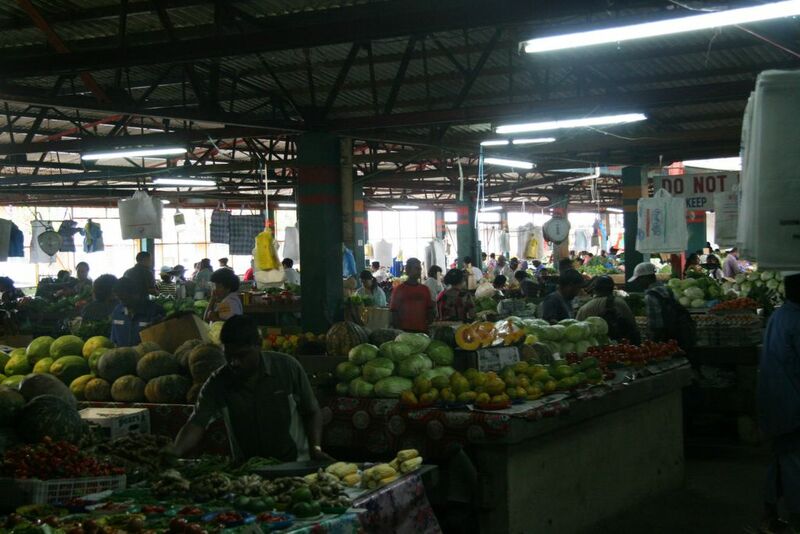 More from Fiji to come - I promise you. Lol! Ok, Fiji. No wonder I didn't guess; Aussies never think of Fiji as being in the South Seas like the French islands. It's just one of those islands near us in the Pacific! Niki - I wasn't sure - I had the same thought as you - but then I did some research on the net & concluded anything south of the equator was eligible to be labeled South Seas.